When riding in the rain I think about and adjust four main things with my riding; Braking, Steering, Throttle Control and Body position. Braking: Everyone knows that braking in the middle of a corner is not necessarily the best thing to do. But, let’s face it, how many of you have made that mistake once or twice in your riding career? Go into a turn a little too hot, freak in the middle of the turn, grab some brake, pucker, stand it up a little and somehow make it through the corner? Or, approach a turn, brake and continue to trail those brakes into the beginning of the corner letting off just before the apex of the turn? I’ve done it loads of times. Ever done it in the wet with good results? Unlikely. Why? What happens when you get on the front brakes in a turn? Where does the weight transfer too? It goes to the front tire right? How much weight is the front tire designed to handle? Only 30-40% of the load. You can sometimes get away with overloading the front tire in dry conditions, but not so much in the wet. It only takes a tap of the front brake anytime the bike is leaned over, or an extra second of trail braking, for you to lose traction. When riding in the rain, either on the street or on the track, I make sure that I get all of my braking done while the bike is straight up and down. Whether using the front or rear brake in the rain, apply them smoothly and consistently. No quick jabs with the lever, no stomping on the pedal. Gradually apply pressure and gradually release. Steering: The goal in most corners, whether riding on the track or the street, is to get the bike turned as quickly and efficiently as possible. However, turn a bike too quickly in the rain and you will be grinding your visor along the pavement faster than you can say “Valentino Rossi”. When steeringthe bike in wet weather, do it gently and consistently with even pressure and avoid jerky or overly sudden motions. Stay relaxed on the bike, especially in your arms by squeezing the tank with your legs for stability. Throttle Control: Once you’ve got the bike tipped in the corner it becomes all about the throttle control. 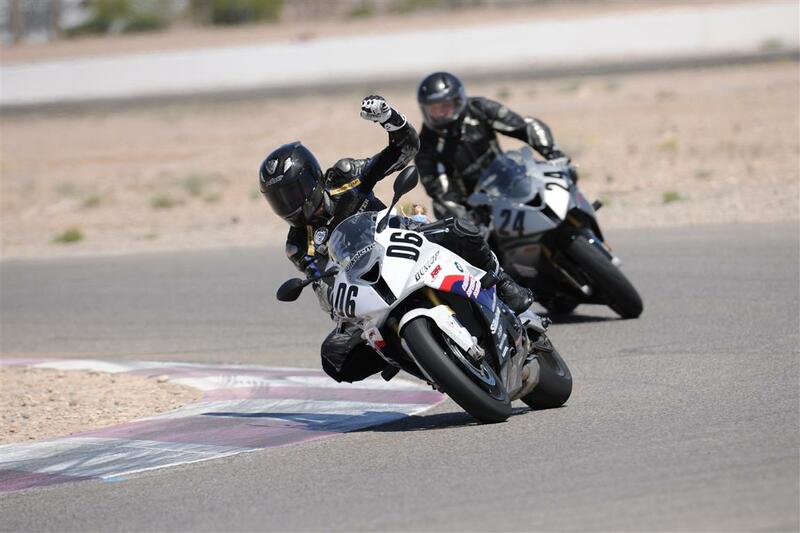 Your number one goal in any corner as taught by coaching guru Keith Code, is to “get on the gas as early as possible and to roll it on through the remainder of the turn” in order to transfer some of the weight off of the front tire and onto the rear. Getting on the gas to even out the weight distribution helps make the bike more stable in the corner, a valuable goal for any rider. A lot of people make the mistake of going onto a turn and coasting through most of it before getting on the gas. Coasting means the weight is still forward on the bike putting added weight on the front tire that need not be there. Coasting in the wet amplifies all of this; more weight on the front, less traction on the road, more chance of losing grip. So, get on the gas as early as possible and roll it on throughout the entire corner. Again, as with the use of the brakes, you want to remember to be smooth with the throttle. Don’t grab a fistful, roll on too aggressively, or roll off suddenly. Body Position: I see a lot of riders going around corners with the bike leaning to the left and their bodies leaning the opposite direction. 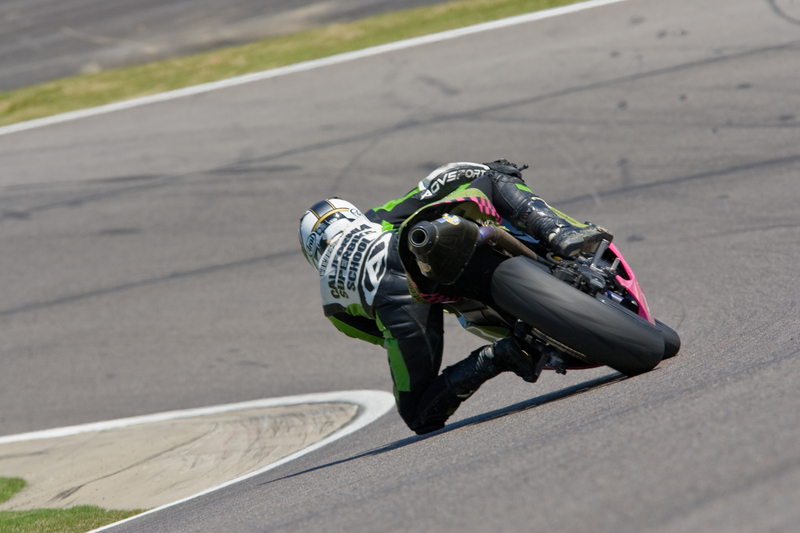 This happens because the rider has fears about leaning with the bike, a misunderstanding of what that actually does to lean angle, or a combination of both factors. When the bike leans to the left and the rider leans to the right (or crosses up on the bike), they are actually INCREASING Overall lean angle. Increased lean angle means that less of the tire is touching the pavement. Less contact patch of the tire touching pavements means less traction. You want to have the most traction available to you while riding in the wet don’t you? So how do you achieve that? Leaning your body with the bike will help REDUCE the amount of lean angle you have. 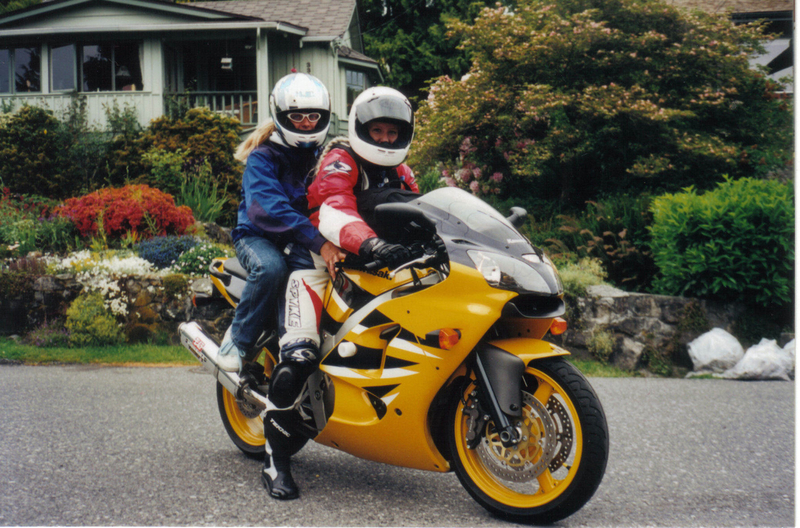 By getting you body over to the side of the bike that you are turning (the bike is turning left, you let your body lean left as well) you can essentially hold the bike more upright. Make a few simple changes to your riding and you can still go out and enjoy the open road, even if it’s a little bit wet.